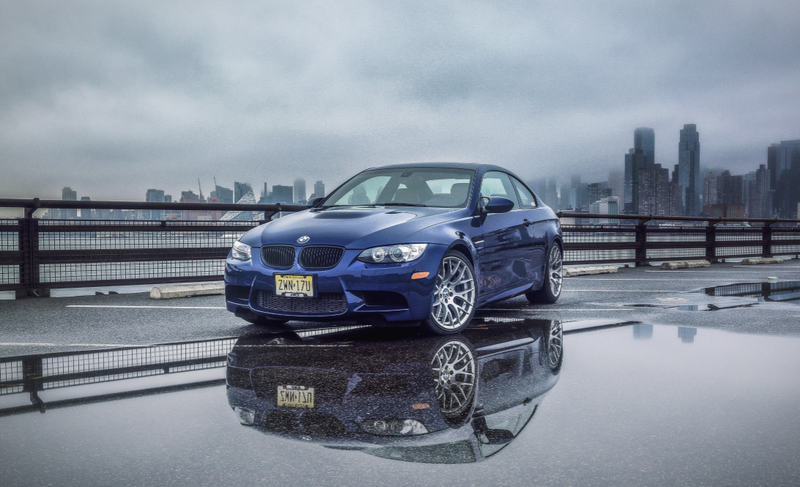 Photographer Michael D’Ambrosio took this photo of his very own 2011 BMW M3 ZCP Competition Package. My god is it perfect. D’Ambrosio’s car has Interlagos Blue metallic paint, a six-speed manual transmission, an aftermarket Borla exhaust, and most importantly (the best thing about the E92): a 414-horsepower 4.0-liter V8 sent down from the Bavarian car gods. Our Photographer With Excellent Taste says he ordered the car new from the factory in 2010, and for the most part, it’s been good to him, even though he has tracked it at Pocono Raceway and New Jersey Motorsports Park. You can check out more of D’Ambrosio’s work on his website Machines With Souls, or on his similarly-named Instagram page. Photo credit: Michael D’Ambrosio. Used with permission. For a big desktop version of the photo to save, click here. Thanks, Michael!